Create your Classroom: Its time for a give away!!!! Wendy I would love to win this! I know someone that used one when I owned a scrapbook retreat...she came to our retreat about 4 times a year and I was always in awe of her fabulous tool!! I never bought one though and would love to have one. Thanks for the opportunity. 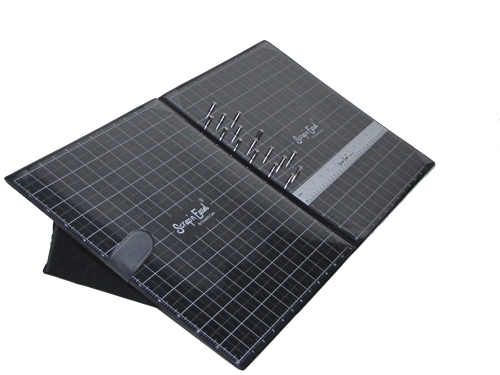 My favorite tool to scrapbook with would be my paper piercer...it helps in so many ways....stitching with Bazzill templates, brads, unclogging glue, haha...I just couldn't scrap without it! I would love to win this fabulous prize. My favorite scrapping tool is my cricut. I am love to customize cuts for my scrapbook pages. What would we do without it? This prize would be perfect for those scrapbook pages at crops. Thanks so much for this wonderful opportunity to win. Amazing item.....never seen it before! Would definitely relieve neck and back pains. My favorite scrapping tool.....have so many, but I would say my cricut machine. I have found that I have used it more this year with Graduation and Birthday cards. Having the machine do the cutting for you saves a lot of time. My favorite scrapping tool is my Cricut! I love it because it is so versatile! I would love to win this prize! Thank you so much for the give-a-way! My favorite crafting tool is my new Cricut Expression 2 just love it! Would love to win this had a chance to see a friend use one of these at a scrap retreat and I thought it was totally amazing! I am already a follower of your blog and I have been for quite awhile; thanks for the opportunity to win this amazing prize. Hi! My favorite, or at least most used scrapbooking tool is my plain old regular paper cutter. I'm always cropping my pictures, using it to cut paper for around the picture, cutting strips for borders, etc. I would love to win your prize. I've never seen one before but it sounds neat. My favorite thing to use scrapbooking or for making letters to use in my classroom is my Micky Mouse Font cartridge for my cricut expression. I love it because they are chunky letters. My friend bought this exact same scrapbook easel at an event this past weekend. It was a pretty neat thing to use. What an awesome giveaway Wendy!! Hmm...my favorite craft tool.....I would have to say my Gypsy and my cricuts! I love being able to design and hide portions of images then cutting them out to add my special touches! Thanks for the chance to win and for being such an inspiration! I went to ContainYa Crafts! If I had the Scrap N Easel, I think it would be my favorite but right now it is a toss up between my Cricut and my Gypsy. Thanks for the chance to win one of these!! I have wanted it since it came out!! I am already a ContainYa Crafts fan and went over and left a hello for them!! I have 2 favorites...my Cricut for lettering and shapes and my Close To My Heart how-to books. I would LOVE this easel! My favorite scrap booking tool is my friends. Although they are not technically "tools" they keep me inspired and help keep my creative juices flowing! My friends help make scrap booking a blast! Hello! My favorite tool has to be, of course, my Cricut!